It is a wicked day indeed and it is the the end of an era as everything changes in Camelot. It would be impossible to review this episode without revealing massive spoilers so I will begin by suggesting that if you have not yet seen “The Wicked Day” or, indeed, if you have not yet begun watching season 4 of BBC Merlin, then stop reading here. 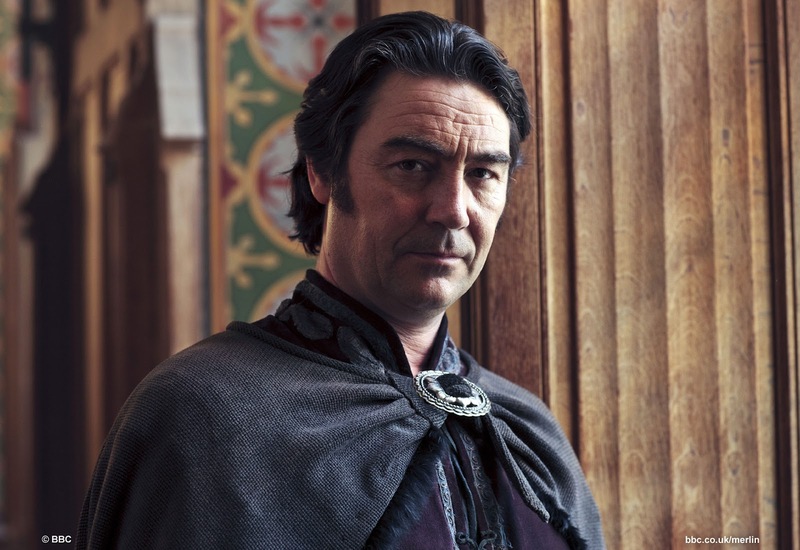 There is nothing in this post that will be a surprise if you are familiar with Arthurian legend but this is a significant point in the TV show nonetheless. There is great excitement in Camelot as preparations are underway for Arthur’s birthday feast and the circus rolls in to town. But all is not well with this circus as The Gleeman (Phil Davis) has been sent by none other than King Odin to avenge his son’s death at Arthur’s hands. 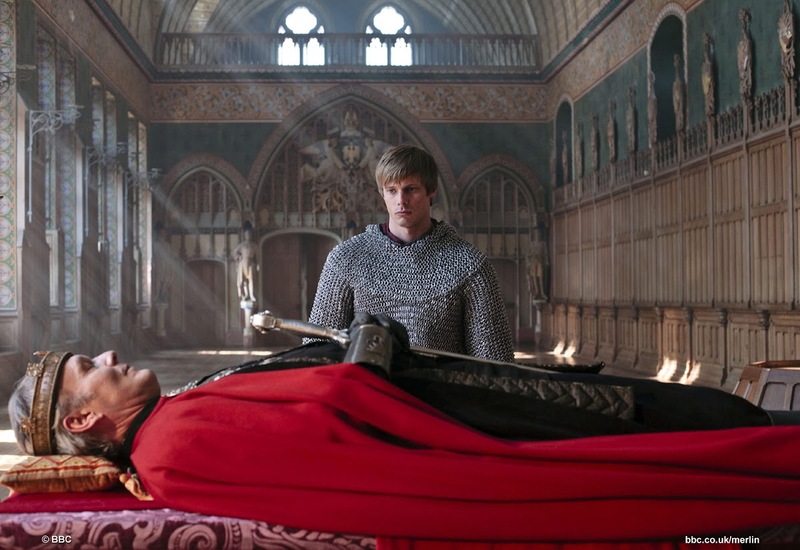 There is a wonderful scene where Uther seems lucid for the first time since the season began and he insists that he will attend Arthur’s birthday feast, stating that he would never miss an occassion to celebrate the anniversary of his son’s birth. During the birthday festivities, Arthur is challenged by The Gleeman to take part in a knife throwing challenge. He can’t exactly refuse in front of all of these people, can he? The challenge goes smoothly without Merlin having to resort to magic to save Arthur but little do they know that the apple he held in his mouth (and subsequently ate) is laced with sedative. Arthur soon begins to feel weak and is attacked in his father’s chambers by The Gleeman. Uther leaps into action to protect his son and for a fleeting moment, we wonder whether the great Uther is finally back to his old self. Alas, it is not to be. As Uther delivers the death blow to The Gleeman, the villain manages to stab him in the stomach and Uther becomes very ill. In an incredible sequence in which the whole of Camelot stands vigil for the King, Arthur somehow comes to the realisation that only magic can save his father and he asks Gaius to summon a sorcerer. 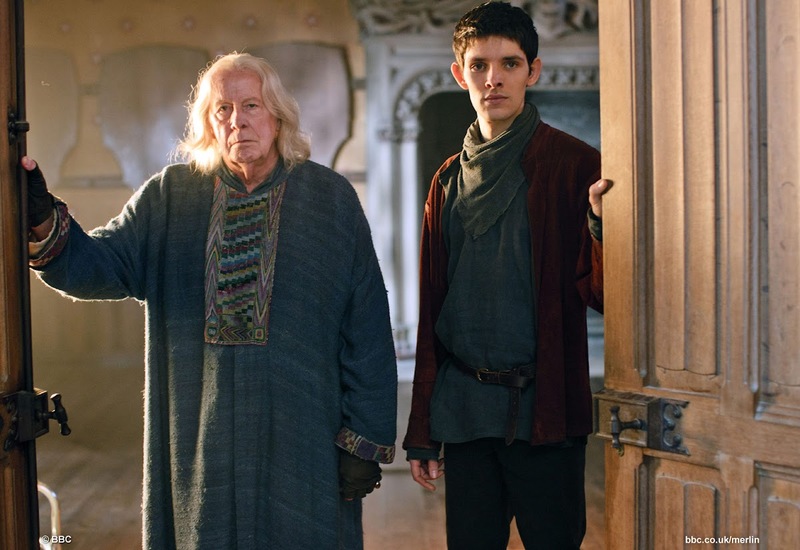 Merlin and Gaius realise that this is their one chance to finally show to Arthur that magic can be used for good, that it need not be feared and reviled. 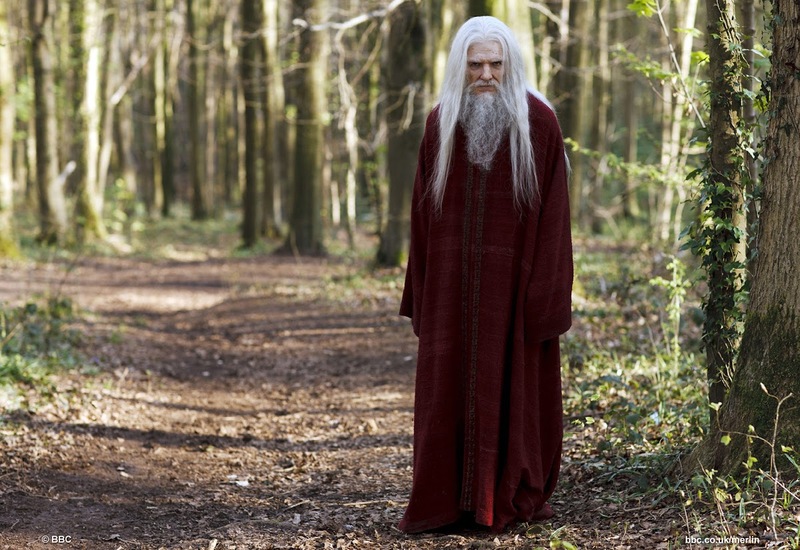 Merlin takes Arthur in to the woods and takes the aging potion to become Emrys. The plan is thwarted though when Morgana shows that she is evil incarnate as she plots with Lord Agravaine to enchant a necklace, warding Uther against the efforts of any magical healing and accelerating his death in the face of such attempts. The inevitable happens and Merlin’s attempts to magically heal Uther are unsuccessful. The King is dead! While Merlin blames himself for Uther’s death, Arthur comes to the conclusion that he was wrong about magic, that he was too arrogant and that his arrogance caused his father his life. Now he has lost both his parents to magic; it is pure evil and he will never forget that. “The Wicked Day” is not my favourite Merlin episode by far. It is not as dark as the previous two episodes which might seem strange considering the subject matter. I think it must have been difficult to balance the death of King Uther (and the subsequent departure of a beloved cast member in Anthony Head) with the fact that this is, after all, primarily a children’s show. 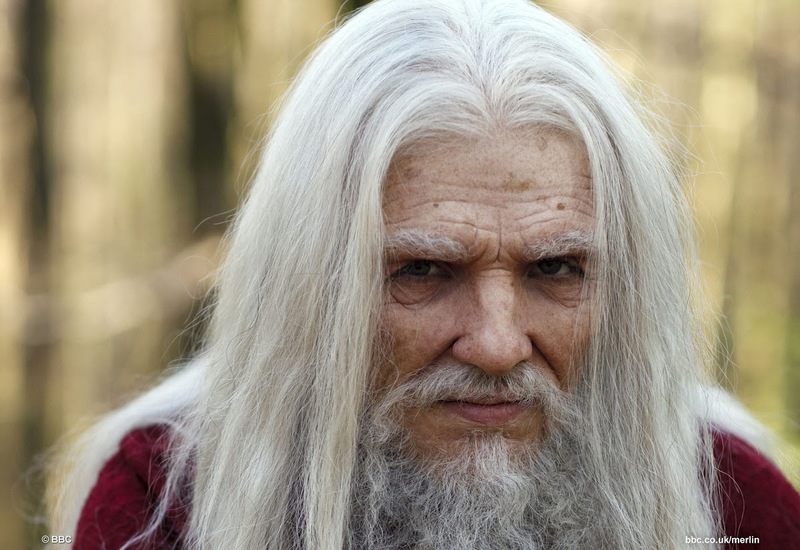 Thus, the antics of the circus at the beginning of the episode are a necessary diversion, as is the hilarity that the appearance of Merlin’s 80-year-old alter ego always brings. Uther’s death felt overshadowed somewhat by the strong reactions of both Arthur and Merlin and by Arthur’s coronation. I simply felt that I was never given time to grieve this fabulous character. Despite faltering somewhat in the execution, this is a necessary episode as Arthur becomes King and begins his journey to fulfil his destiny.